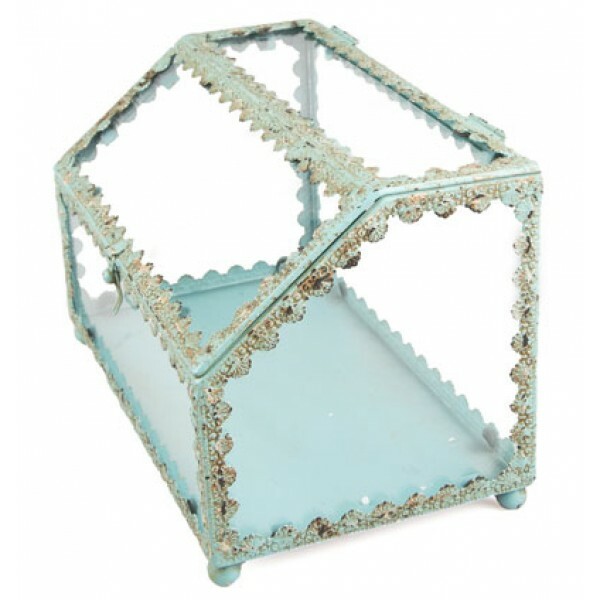 This makeup and accessories storage box is a pretty container for the dressing table. It is made out of glass and metal worked into an elegant shape. It is in a vintage oriental style and coloured in a vintage, pastel blue. Perfect for holding jewellery and makeup as the box reveals its contents through the delicate glass.